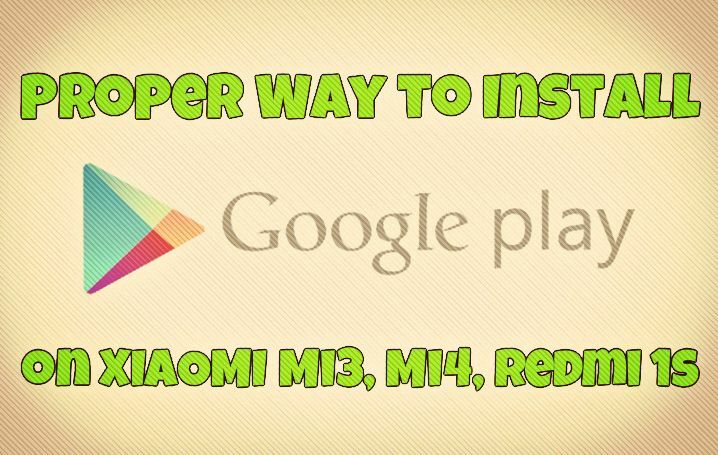 Update: Here is the newly updated guide to install the Google Play store on Xiaomi Phone. “How to Install Google Play Store or Google Apps on Xiaomi Devices” or “Hot to Setup Google Apps on Mi3, Mi4, Redmi 1s” these are some of the question which most of the Xiaomi Phone users are looking for these days. If you bought the Xiaomi Mi3, Mi4, Redmi 1s form chinese market or update your device with the MIUI developer ROM then you can’t find the Google play store or Google apps on your device. In our previous articles we share some tips to install Google apps like Install Google Apps (Play Store) with Zip file, How to manually install Google play store. If none of them works for your or you are facing some problem to complete the setup, then here is the proper way to install Google Play Store on your Xiaomi Android devices. The whole process will take 5 to 10 minutes to instal the play store on your phone. One of the fastest and easiest method to complete the whole proces on your phone. Lets take a look how to get started. Step 2. 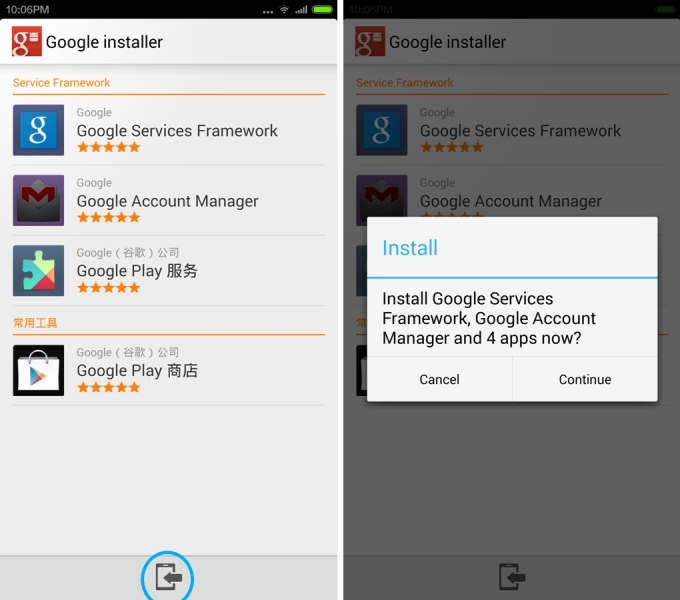 Once the installation process is done, open the application and you will find Google Play Store. Tap on Install. Now this step is little bit trick, so read it carefully and follow all the steps below. Step 3. Now you will see a prompt as below. 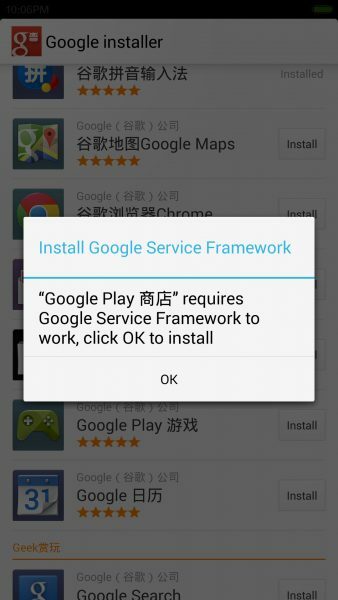 Tap on OK. You need to install Google Service Framework on your phone to install Play store. Step 4. Now on the next screen it will ask you to install 4 pieces of software as pictured below. Install the all the 4 app on your phone. Step 5. Once the installation process is completed on your phone, exit all the way and reboot the phone. Step 6. Now back to the Google Installer app and look for Google Play Store again. This time, go ahead and Install. 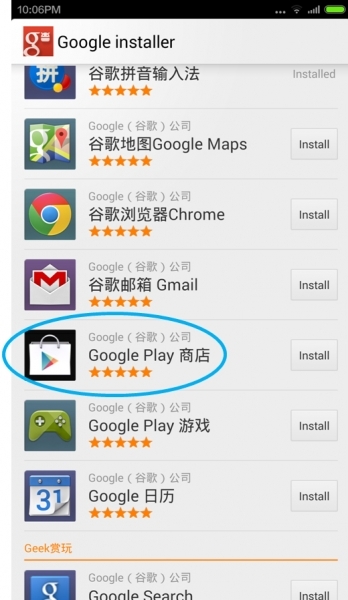 Now you have successfully installed Google Play Store. 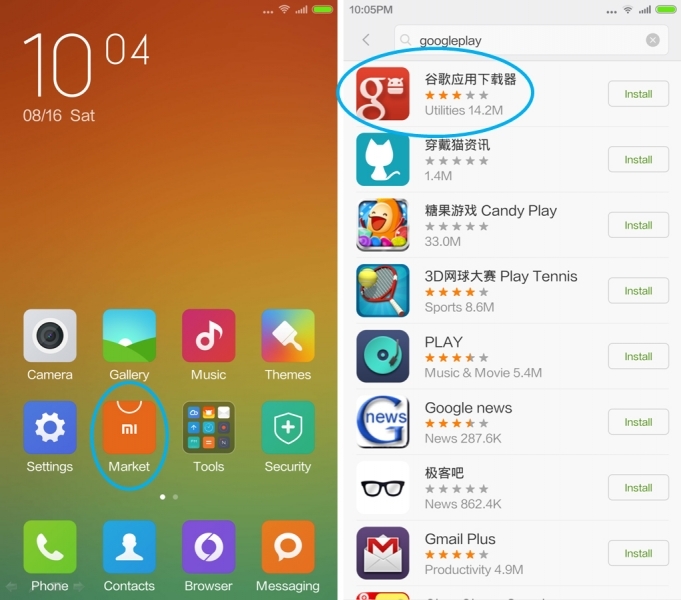 Open the app and login with your Google account start enjoying the Google apps on your Xiaomi phone. Finally a working solution – THANK YOU!!!! I cant find google with red icon on mi market, maybe xiaomi delete it.. is there another way to install google play? Same. Couldn’t find the google installer on mi market. Any other options? Thank you.